The weather has been way too nice lately to spend much time in the studio. It has been wonderful to take a break, get the garden in shape, and take more walks. Late this afternoon, as we were coming through the woods I heard a sound I’ve been waiting all year to hear. 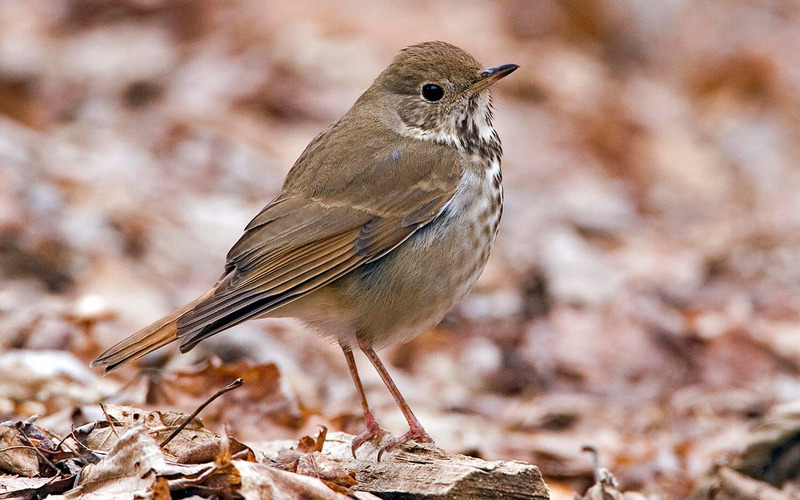 The ethereal song of the Hermit Thrush. It is one of the few sounds that will cause me to stop in the middle of whatever I’m doing, just for the pure joy of listening to its beauty. Last summer I found a site that would allow me to hear the Hermit Thrush whenever I wanted. There are three other thrush songs to listen to, and an amazing chance to hear the songs played in a slower mode. It is not quite the same as hearing these birds tell me in person that summer is on its way. But it is a pretty cool way to have the next best thing. Check it out! I knew you guys would like them!